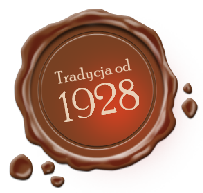 Dear Travelers you are more then welcome to our guest house called Szwarcowka, Szwarcowka combines history, tradition and modern comfort. The house was built in 1926 and since then has served as a guest house. It is located in a beautiful region of Poland called Beskid Sadecki, just on southern border between Poland and Slovakia. Our region offers lots of attractions for everybody who looks for a quite, picturesqe little place to get some rest, enjoy nature and do different sports. Walkers, bikers, skiers and all active ones find possibilities to do their favourite sports here. Visit us and experience real Polish hospitality. 2018 © Wszelkie prawa zastrzeżone. Wykonanie Vanhem.